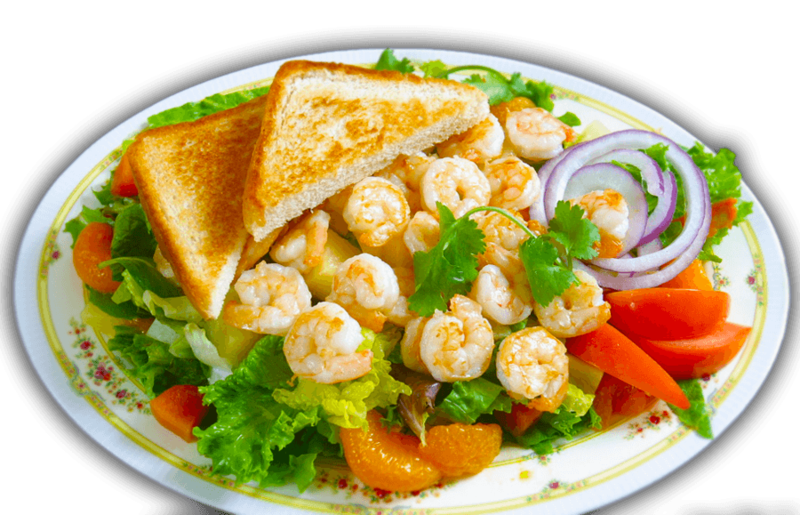 Low calorie, freshly made shrimp salad. 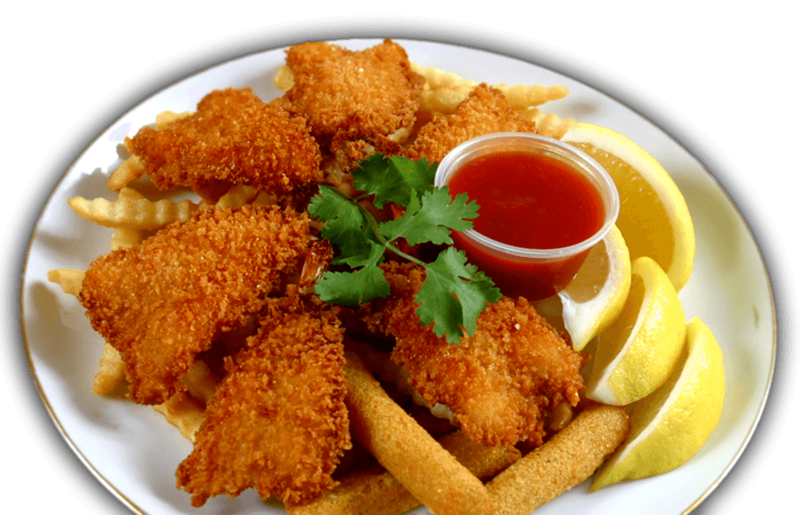 Fresh Hand-battered Butterfly shrimp in bread crumbs. 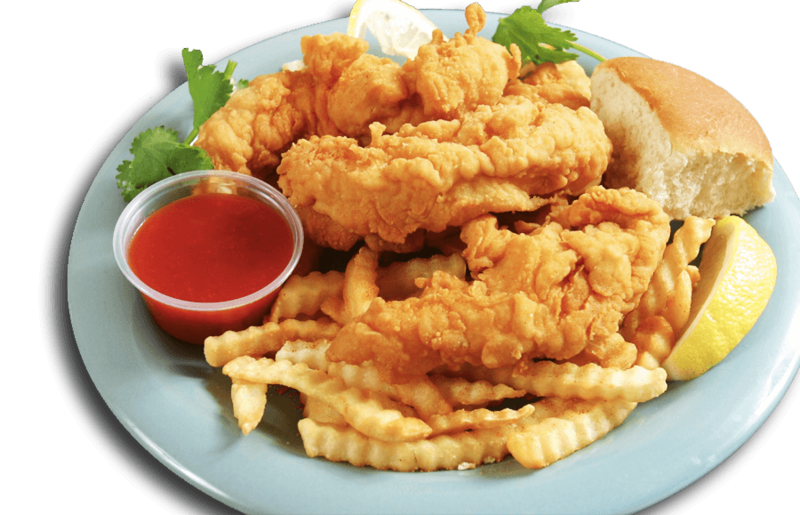 Served with crinkle cut fries, hushpuppies, and cocktail sauce. 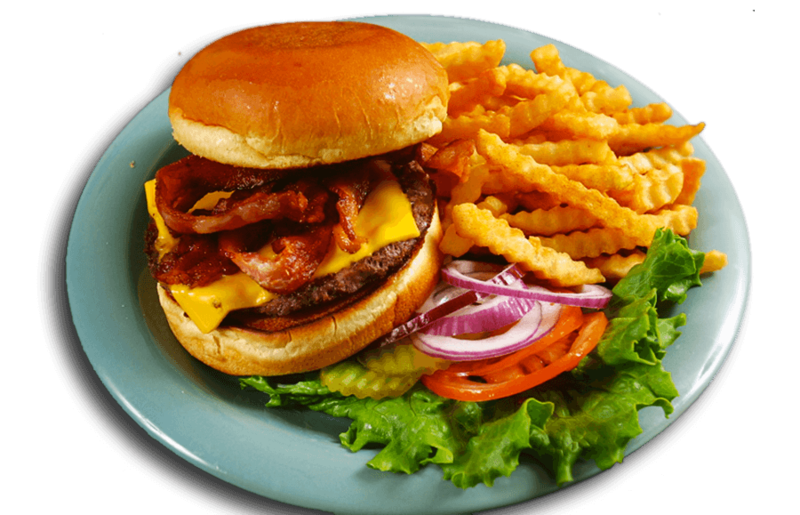 Enjoy a hearty all American Bacon cheeseburger, with crinkle cut fries made to your order. Lightly battered, served with crinkle cut fries, and homemade ranch. 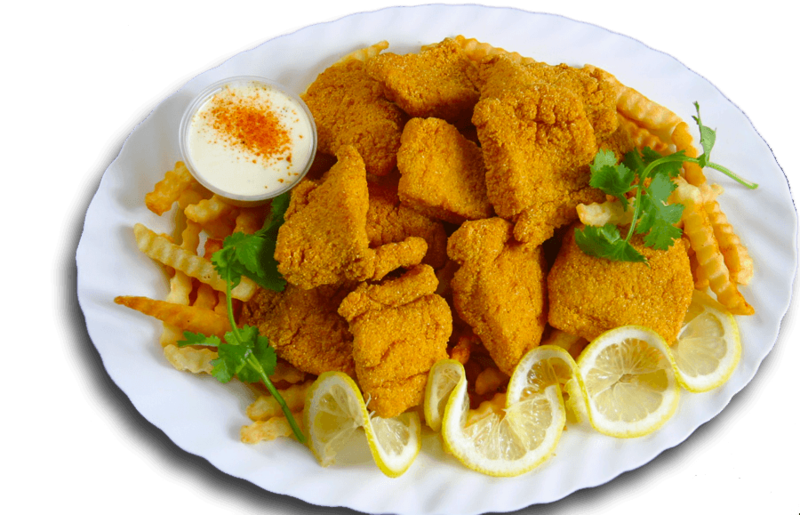 Delicious golden crispy, served with fries, hushpuppies and tartar sauce.